Location.....Location... Location......This is it .Just a mile east of South Dayton's newest interchange at Austin Landing. ( I-75) abundant parking on 4 acres. A unique interior atrium creates natural light year round. Two spaces for lease one is 3024 square feet the other one is 3113 square feet . Perfect for corporate offices, insurance office ,or a real estate office. Located in Washington Township no city income tax. 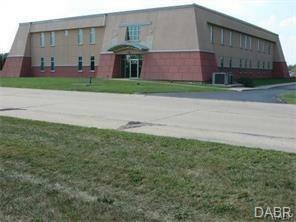 The space is being offered at $12.00 per square foot all inclusive which includes utilities. Listing provided courtesy of Thomas A Gabrielson of Coventry Equities Ltd.. © 2019 Dayton Area Board of REALTORS® MLS. Information Deemed Reliable But Not Guaranteed.